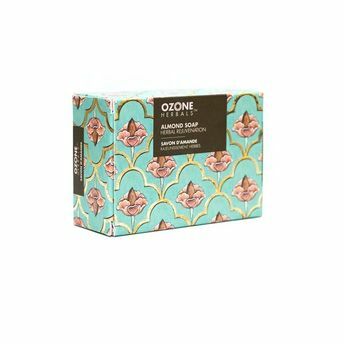 Ozone Herbals Almond Soap delivers a pure, natural and gentle cleansing experience. It softens and soothes skin to boost its health and vitality. Nourish your skin with the power of almond oil- let the miracle of Almond oil work it's magic on your body, to help your skin restore its youthful radiance the natural way. This soap is great to moisturize dehydrated skin, increasing elasticity, while fighting fine lines and effectively protecting the skin from UV sun rays.